If you then want to display notices outside why not laminate them? NEW: Recycle your old low energy light bulbs in our bulb collection box. Help to save our environment. We also have a whole range of other products and information including safe cans, purse bells and personal alarms. Why not call in and see for yourself? After we received a number of reported thefts of charity boxes and other items from shops in the Haworth area, a 39 year old female has admitted to these thefts. Following on from this offence, the female is also being questioned further in relation to other similar thefts which have occurred in other areas. Unfortunately we have received further reports of damage to the box for Haworth Band Stand. This damage has occurred between the 4th – 5th October 2014. If you have any information relating to the recent damage, please ring 101 and quote *385845. Whilst we will continue to carry out regular patrols of the park we are asking that residents remain vigilant and report anything they deem suspicious on the 101 non-emergency number. If you witness a crime in progress please ring 999. Mark your stone - so it is identifiable, this can be done with paint, smart water or by marking the actual stone. Please can you continue to be vigilant and report anything you think is suspicious by contacting using the information provided. Between the 18th -19th July officers were made aware of damage caused to the electrical junction box for the bandstand and some plants nearby. If you witnessed anyone in the park causing the damage, or have any further information regarding the damage please ring 101 quoting *283044. 2 males from the Keighley area were arrested for criminal damage following an incident at a property on Victoria Road on the 22nd July. A male from Haworth was arrested in relation to a theft from a premises in Heathcliff, Haworth after removing several items of property without the owner’s consent. A male was arrested in relation to a theft from a premises in Changegate Court, Haworth after removing items of property without the owner’s consent. An unsuccessful attempt to gain entry to a property on Mytholmes Lane was made between the 16th-17th July please ring 101 with any further information. Between 23rd – 24th July 2014 a vehicle was removed from a private driveway on Hebden Road without the owner’s permission. The vehicle was a red Subaru pick up displaying the registration plate of L376 RAS. If you have any further information please ring 101 and quote *289715. Between 00.30hrs and 07.30hrs on the 21st May 2014, access was gained to a garage on South View, 2 push bikes and a motorbike have been removed. The motorbike is a KTM 350 with a registration of YE63 KUW. Any sightings or information please ring 101 quoting log 13140199825. 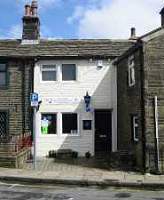 Between 00.15 and 16.15hrs 5th May 2014, entry was forced to a take-away on Station Road, Haworth. Once inside the suspects have carried out a search of the premises removing monies and causing damaging to items within. If you have any information please get in touch on 101 quoting *13140177675. On Thursday 1st May 2014 three males were arrested on Station Road, Haworth on suspicion of being equipped to commit crime. This was following calls received from residents regarding males acting suspiciously in the area. Between Tuesday 29th April and Wednesday 30th April 2014 a burglary was committed on Mytholmes Lane, Haworth. Entry was made through the front door which was forced open. Three males have been arrested in relation to the burglary and enquiries are ongoing. If you have any further information regarding the above please contact the Police on 101 and quote reference: 13140170461. Between Sunday 27th April and Monday 28th April 2014 a vehicle was removed without the owner’s consent from an address on Marsh Lane, Oxenhope. Suspect/s removed the battery from another vehicle in the vicinity placing it into the targeted vehicle which has then been driven away. The vehicle stolen is a Toyota RAV4 in green Registration: T538 CUA. Stolen vehicles are sometimes abandoned in nearby streets therefore please keep a look out for this vehicle and call the Police on 101 if you see it. Please quote *13140167293 with any information. On 26th February 2014, a secure container was entered and property from within was strewn in the vicinity. Following investigations, 5 youths were arrested, One 15 year old was charged with Burglary Other and given conditions not to associate with any of the other males outside of school and to pay £100 in compensation. The others due to their age will either re-pay the victim £20 or complete a session of community reparation. All have the same conditions of non-association. There was insufficient evidence to charge a 5th male. Between 17.00hrs 14th April 2014 and 07.00hrs 15th April fuel has been syphoned from heavy goods vehicles whilst parked up in a business compound on Halifax Road. If anyone has any information please ring 101 and quote *13140150494. At 01.05hrs Thursday 24th April entry was gained to the Co-Op, Station Road, Oxenhope suspect/s made off with a quantity of cigarettes. If you have any information please ring 101 quoting *13140161693. A 48 year old woman from Oxenhope has been charged with drink driving after she was stopped by Officers on Yate Lane, Oxenhope on the 20th March 2014. She will appear at Bradford Magistrates Court on the 2nd April 2014. Five males from Bradford have been arrested for a burglary which occurred on the 13th March at Farley Crescent, Oakworth. All four men are currently on Police bail while enquiries continue. On the 19th March Officers have stopped a vehicle on Drill Street, Haworth. On searching the vehicle officers have found a quantity of what is believed to be Class A drugs and a large amount of cash. The driver a 44 year old man from Keighley has been arrested and is currently on bail while enquiries continue. Yesterday a 20 year old man from the Keighley area has been arrested in connection with theft of/from Land Rover and theft of a vehicle from Haworth back in November 2013. He has been charged with both offences and is due to attend court at the end of this month. A 23 year old and 24 year old man from Keighley, and a 17 year old man from Wrose have been arrested for a theft from motor vehicle which took place between the 6th March and the 7th March on Prince Street, Haworth. Unfortunately on this occasion they have not been charged with the offence but have been charged with separate offences of Burglary, Affray and Criminal damage which happened in the Keighley and Bradford areas. Between 5.45pm on the 19th February and 6.15am on the 20th February a blue Land Rover Defender has been stolen from Clay Brow, Haworth. The registration number of the stolen vehicle is H283 GPV, please keep a look out for the vehicle as stolen vehicles have been known to be abandoned on side streets or in cul-de-sacs in local villages awaiting collection. Between 11.45pm on the 19th February and 6.00am on the 20th February a burglary has taken place at Moorbottom Lane, Bingley. Suspects have gained entry by snapping the europrofile lock in the door. Stolen in the burglary was a Red Mini Cooper. The registration number of the stolen Mini is R6 TET, please keep a look out for the vehicle as stolen vehicles have been known to be abandoned on side streets or in cul-de-sacs in local villages awaiting collection. Between 11.45pm on the 19th February and 3.45am on the 20th February a burglary has taken place a Tulyar Court, Gilstead. Suspects have gained entry by snapping europrofile lock in the door. Stolen in the burglary was a white VW Touran vrm: BJ12 SZU and a black VW Golf XN62 XVY. The registration number of the stolen Touran is BJ12 SZU and the Gold is VN62 XVY, please keep a look out for the vehicle as stolen vehicles have been known to be abandoned on side streets or in cul-de-sacs in local villages awaiting collection. · Lock ALL doors, close ALL windows and remove ALL items of property from your vehicle. · Park your vehicle in a safe, well lit area. · Use your garage if you have one. · Remove all Satellite Navigation systems from vehicle when left unoccupied and do not leave accessories on display. Many thieves target vehicles when the cradle holder mark is left on the windscreen removing this mark will reduce the chance of your vehicle being targeted. · If you notice anyone acting suspiciously in the area please call the Police on 101. · If you see a crime taking place please call 999. A 24 year old man from Keighley has been arrested for a fraud which occurred at Oakworth Manor Residential Care Home, Oakworth. The victim is a resident at the care home. The man is currently on Police Bail while enquiries continue. At 4.50pm on the 17th February a garage burglary has occurred at Marsh Lane, Oxenhope. The suspect has entered an open garage and removed property. The suspect was seen making off in a waiting red vehicle (no further details). Please be aware and report any suspicious behaviour to the Police on 101. If you see a crime taking place please call 999. There have been two garage burglaries in the Brow Top Road area of Cross Roads over the past 7 days. Bingley and Worth NPT are asking residents to remain vigilant, please ensure that that your property is locked and secure. If you see any suspicious activity please report it to the Police on 101. If you see a crime in progress please call 999. When collections are being made in the streets or a public place there are certain laws that the charity collectors have to follow. 2) What proportion of the donation(s) or how much the professional fundraiser is getting. Not to do so is a criminal offence. In Simple terms if person is a professional fund raiser i.e. they get paid to collect, they must state who they are collecting on behalf of, that they are a professional and get paid for collecting. Some of the money they receive pays for their wages. The collector must also state what percentage of the money they are collecting goes towards the charity they are collecting for. This can be displayed on a notice they have with them. Professional collectors are not illegal and many charities use this method to help increase funding legitimately for many good causes. In fact many smaller charities would suffer a significant drop in their funding if it were not for this way of collecting. In a recent case in Keighley an animal charity was investigated by the Charities Commission and it was given advice on its use of Professional Charity Collectors and assistance on the way it was run. It may surprise some people to know that in some cases as little ten percent of the money they donate can go towards the intended recipients. The rest can get swallowed up by wages and administration costs. Although this is not illegal and benefits many good causes, next time you hand over your cash in the streets you may want to ask exactly where that money is going. On Sunday 12th January a 43 year old man from Otley was stopped in Haworth by Officers after he was observed using a mobile phone while driving a motor vehicle. Officers discovered the man was also disqualified from driving. He was subsequently arrested and charged with driving whilst disqualified, no insurance and using a mobile phone while driving a motor vehicle. He appeared at Bradford Magistrates Court on the 31st January and was sentenced to 6 months in prison and was disqualified from driving for a further 2 years. A 26 year old man from Baildon has been sentenced to 18 weeks in Prison following a theft from motor vehicle on Clarendon Street, Haworth in December 2013. A second man from Frizinghall has been given a night time curfew, he must also attend and participate in drug dependency classes. On Sunday 12th January a 43 year old man from Otley was stopped in Haworth by Officers after he was observed using a mobile phone while driving a motor vehicle. Officers discovered the man was also disqualified from driving. He was subsequently arrested and charged with driving whilst disqualified, no insurance and using a mobile phone while driving a motor vehicle. He will appear at Bradford Magistrates Court in January. UPDATE 9th January 09:27 Missing 20 year old Marita Vestergaard has been found safe and well. We are concerned for missing person Marita Vestergaard aged 20 who went missing from Oxenhope at approximately 7pm last night. She is described as 5ft4 with ginger/blonde hair and slim build. Possible clothing description grey mesh top, black leather trousers and black boots. Please check outbuildings and garages. There will be an increased police presence mainly in the Oxenhope area. If you have any information regarding Marita Vestergaard then please call 101 and quote log 1668. A Denholme man who committed a burglary in Haworth, Keighley has appeared in court and been sentenced. The male committed the offence in November 2013 when he smashed the window of a house in Haworth intending to burgle the property. The homeowner, who was in the house at the time, shouted at the male causing him to flee the scene. The male appeared at court on the 3/1/14 and was sentenced to abide by a 7pm – 7am curfew for a period of three weeks and pay costs and compensation totalling £90. Two men have been charged with Drunk and Disorderly following a disturbance at Parkside Social Club, Haworth on Sunday 22nd December. The first suspect, a 18 year old man from Keighley was issued with a £80 fixed penalty notice. The second suspect, a 22 year old man from Haworth will appear at Bradford Magistrates court in January. A 30 year old man from Keighley was charged with drink driving and failing to stop after a road traffic collision. The incident happened on Halifax Road, Cross Roads on the 29th September. The man appeared at Bradford Magistrates Court on the 30th December and was disqualified from driving for 17 months. He was also given a fine and will pay court costs. Police are appealing for two women who may have witnessed a collision just prior to a fatal road traffic collision in Bingley to come forward. The Major Collision Enquiry Team would like to speak to two young women who were seen speaking to the driver of a black BMW after it collided with a bus shelter on Main Street, Bingley, at about 1.35am on December 21. The car involved left the scene but was involved in a serious collision in Bradford Road near to Beckfoot School at around 1.40am. The driver of the vehicle, a 34-year-old local man, received fatal injuries. He was the sole occupant of the vehicle, which was travelling south towards Cottingley at the time of the incident. PC Paul Lightowler of the Major Collision Enquiry Team, said: "We now believe the black BMW involved in the fatal collision also collided with a bus shelter on Bingley Main Street shortly beforehand, and that the driver briefly spoke to two young women at the bus stop. "We would very much like to speak to the two women as witnesses to the collision and I would ask them both to contact myself, PC Paul Lightowler at the Major Collision Enquiry Team on 101." A 43 year old man from Haworth has been charged with an assault which occurred on Sun Street, Haworth on the 18th August. The man has been given conditional bail and will appear at Bradford Magistrates Court on the 31st December. A 30 year old man from Keighley was been charged with drink driving and failing to stop after a road traffic collision which happened Halifax Road, Cross Roads on the 29th September. He will appear at Bradford Magistrates Court in the 30th December. A 21 year old man from Wyke has been charged with possession of class B drugs after we was stopped and searched on Sun Street, Haworth on the 11th December. The man has been given a caution. A 17 year old man from Keighley has been arrested following a Burglary which occurred on the 27th September on Hebden Bridge Road, Oxenhope. Three men have been arrested following a theft from motor vehicle which occurred between the 25th November and the 26th November on Bridge Street, Haworth. A 24 year old man from Buttershaw, Bradford has been arrested following a burglary which occurred on the 28th November at Crossfield Road, Oxenhope. He has been given conditional bail not to enter Keighley or Oxenhope while enquires are on going. A 25 year old man from Bingley has been charged with a robbery which occurred on the 19th November on Tulip Street, Haworth. The suspect has been remanded in custody until he appears at Bradford Crown Court in December. A 38 year old man from Keighley has been arressted in connection with a burglary at J S Langhorne Pharmacy, Oakworth which happened on the 8th December 2013. Burglary - Between 11pm on Wednesday 4th of December and 9am on 5th of December the suspects have gained entry to a residential property on Denholme Road, Oxenhope by snapping the europrofile lock of the UPVC door. Suspects have then removed property and car keys and made off with a BMW X5. The registration number for the vehicle is DE05 JWX, please keep a look out for the vehicle as stolen vehicles have been known to be abandoned on side streets or in cul-de-sacs in the local area awaiting collection. A male from Keighley has now been arrested for this offence. On the 15/11/13 a burglary occurred on Lord Lane, Haworth. A male from Denholme has been charged with the offence. The suspect is on police bail while enquires continue. At 5.35pm on Wednesday 4th December unknown persons have gained entry to a residential property on High Oak Garth, Oakworth by snapping the europrofile lock of the UPVC door. Persons have gained entry and activated the alarm then made off unseen. Update in relation to a theft of motor vehicle on Prince Street in Haworth on 29/10/13 a 25 year old male from Bradford has been found guilty of theft of vehicle and drugs offences and was given a custodial sentence of 16 weeks. This wouldn't have been possible without a member of the public phoning the police when they noticed two males acting suspiciously near a vehicle. Please remain vigilant and report any suspicious behaviour to West Yorkshire Police straight away by calling 101. A 33 year old male from Haworth has been given a fine and banned from driving for 26 months after a member of the public called the police and alerted them to a vehicle that had crashed into a wall, following a search by officers the male was arrested nearby for driving under the influence of alcohol. A 32 year old male from Keighley was remanded into custody in May of this year for a conspiracy offence. The male eventually pleaded to eight offences which consisted of four full burglaries and two attempt burglaries within Airedale and north Bradford area and two handling offences for North Yorkshire. This sentence also incorporated nine months for a jewellers burglary at Haworth for which he also admitted a handling offence. Today he was sentenced to four years and eight months. Two other males also pleaded guilty to an attempt burglary offence and were given a six month conditional discharge with a fine of £1000. At 11:07am on Tuesday 26th November a burglary took place at Saltaire, Crossroads. The suspect has forced entry into the property by smashing a window. The suspect was disturbed by the occupants and made off from the property. Please remain vigilant and report any suspicious behaviour to West Yorkshire Police straight away by calling 101. At 5.27pm on Thursday 28th November an attempt burglary occurred at Crossfield Road, Oxenhope. The owner returned home and caught two suspects attempting to gain entry to his property. The suspects had attacked the complainant’s euro profile lock in an attempt to gain entry. The suspects have made off in what is believed to be a small red ford vehicle. Bingley and Worth NPT are asking all residents to remain vigilant and report any suspicious activity immediately to West Yorkshire Police on 101. Please see below crime prevention with regards to euro profile locks. A 21 year old man from Keighley has been arrested following eight theft from motor vehicles which occurred in Oakworth overnight between the 25th and 26th November. Two further males are wanted for questioning with regards to these same offences. Lock ALL doors, close ALL windows and remove ALL items of property from your vehicle. Park your vehicle in a safe, well lit area. Remove all Satellite Navigation systems from vehicle when left unoccupied and do not leave the accessorises on display. Many thieves target vehicles when the cradle holder mark is left on the windscreen removing this mark will reduce the chance of your vehicle being targeted. If you notice anyone acting suspiciously in the area please call the Police on 101. Between 11.00pm on Wednesday 26th November and 7.15am on the Thursday 27th November a burglary has taken place at Station Road, Oakworth. The suspects have stolen a Green VW Golf which was parked on the roadside. The registration number for the vehicle is X908EVO, please keep a look out for the vehicle as stolen vehicles have been known to be abandoned on side streets or in cul-de-sacs in local villages awaiting collection. Anyone with any information please call 101 and quote reference 13130487836. We are advising all residents to be vigilant, keep your keys in a safe place and out of view. You should NEVER leave any keys in locks, on window ledges or kitchen tables, and never on a hook behind the door. Between Friday 22nd November and Monday 25th November an attempt burglary has taken place at Providence Crescent, Oakworth. The suspects have attempted to attack the euro profile lock on the door but as the complainant has installed reinforced door handles they were unable to gain access to the lock in the first instance. Please find below crime prevention with regards to euro profile locks. There have been two bike thefts reported in the Oakworth area over the last week. More than half of all bike thefts take place from an owner's property. So as well as taking care of your bike when you are out an about, you should think about how safe it is at home. Keep your bike in a secure shed or garage and get in to the habit of keeping the door locked. If you keep your bike in a shed, make sure you get a robust lock for the door. Secure it to an immovable object, or consider installing a floor or wall-mounted anchor lock for extra security. If you are going to keep your bike in a communal area, is there anything you can lock it to or in? Keep it out of public view. For extra protection, keep your bike secure whenever you leave it at home. Bikes left insecure in front gardens are often stolen. Avoid leaving your bike in dimly lit or isolated places. Always secure your bike, even if you are just leaving it for a couple of minutes. Think about using two different types of lock. Secure your bike to an immovable object- where possible use a proper bike rack and if not available, suitable street furniture. Bikes locked to lamp posts, railings or anything else not designed for this purpose are more vulnerable to theft, so only use these if you really have to. Lock both wheels and the frame of your bike to the bike stand or other immovable object. Invest in good quality locks. Hardened steel D-shaped locks and sturdy chain locks are recommended. Many top-end bicycles can cost around £800 and there are locks available relative to the value of your bike. Consult your local bike shop for more information and advice about types of lock you can purchase and other security measures you can take. Following a Burglary on Friday 15th November on Lord Lane, Haworth a 34 year old man from Denholme has been charged. The suspect was identified by an Officer from Bingley & Worth Valley NPT following CCTV enquiries. He will appear at Bradford Magistrates Court later this month. A 17 year old male from The United States of America was involved in a road rage incident on the 12th November 2013 outside Haworth Railway Station. The male was dealt with by way of Community Resolution and paid £80 in compensation to the other motorist whose car he damaged in the incident. At 05:46hrs on Saturday 5th October a report was received from a local resident that two people were breaking into the J.S Langhorne Chemists, Lidget, Oakworth. Officers attended and located the suspects who were found in possession of items believed to be stolen from the Chemist. A 38 year old male and a 37 year old female from Keighley were charged with Burglary. While awaiting trial the suspects were remanded in custody. The two pleaded guilty to burglary and the male suspect has been given a 6 month prison sentence which has been suspended for 2 years. He has been ordered to take part in drug rehabilitation and he must also attend a monthly review, failure to comply with the conditions will mean he will be recalled to Prison to serve his sentence. The female was ordered to pay court costs and victim costs, she also has to take part in a drug rehabilitation programme. A 43 year old man from Keighley has been charged with Assault which occurred on the 16th August 2013 at Bridgehouse Lane, Haworth. The suspect has been given conditional bail and will appear at Crown Court in January 2014. A 24 year old man from Keighley has been arrested on suspicion of a house burglary on Keighley Road, Oxenhope. The suspect has been interviewed and given police bail whilst enquiries continue into this and other local burglaries. A 45 year old man from Buttershaw and a 25 year old male of no fix abode have been charged attempt theft of motor vehicle. On the 29th October 2013 they attempted to steal a van from Ouse Street, Haworth. The suspects will appear in court later this month. At 00.15hrs on Tuesday 29th October a report was received from a local resident that two people were breaking into a vehicle on Prince Street, Haworth. Officers attended and located the suspects who were still in the vehicle. One male from Bradford was arrested for theft of vehicle, the other male was arrested for theft of vehicle and possession of drugs. Both will appear in court tomorrow charged with the above offences. On Friday 6th September number plates were stolen from a vehicle parked on Station Road, Haworth. On Thursday 19th September a 36 year old male from Bradford was arrested and charged with the theft of the plates. The suspect was stopped driving a stolen Ford Focus which was taken in a burglary in Calderdale in August, the suspect was driving the vehicle while displaying the stolen plates from Haworth. Along with the theft the suspect was also charged with burglary, criminal damage and was recalled to Prison for breaching the terms of his release. The male will be appear in Court in October. The suspect has appeared in court, he has been disqualified from driving for 26 months and ordered to pay £350 court costs. At 21:25hrs on Sunday 22nd September a report was received of four / five suspicious males on Ghyll Drive, Haworth. The reporting person believed the males were paying attention to resident’s vehicles. It is believed the same males were also seen a short time after at Ivy Bank, Haworth entering a residents vehicle. If you need to report a crime please contact West Yorkshire Police on 101. Who’s eyeing up your keys? There has been an increase in Burglaries in the Bingley and Worth Valley area where suspects are targeting homes in order to steal keys for Volkswagen Golfs. The majority of Burglaries have been committed by the offenders snapping the Europrofile Locking Barrels on UPVC Doors. On Monday 9th September a 33 year old local man has been charged with Driving A Motor Vehicle Whilst Over the Prescribed Limit of Alcohol following a traffic collison. He will appear at Bradford Magistrates Court. We would like to appeal for residents to be vigilant and report anything they feel is suspicious to us on 101, our Non-Emergency number. We have recently received reports of a 'dirty' white truck with low sides in an area recently targeted for stone, If you have any further information or any concerns please do not hesitate to get in touch. On the 21st August between 11.15hrs -12.15hrs a speed watch was carried out by PCSO Wynn-Evans in the Mill Hey area of Haworth, monitoring the speed of vehicles travelling from Cross Roads towards Haworth. During this period, the speed of over 120 vehicles was checked and 7 were caught travelling in excess of the 30mph limit, the highest being 40mph. All drivers will be issued with a warning letter. On the same date, from 12.15hrs - 13.00hrs a speed watch was carried out on Hebden Road on the stretch between Cross Roads to Brow, over 80 vehicles were checked and only one vehicle was caught travelling in an excess of the speed limit and will also receive a warning letter. Two Juveniles Charged With Burglaries and Damage, Oxenhope and Haworth Train Stations. 1. Burglary at Oxenhope Train Station on Tuesday 30th July 2013 in which the suspects broke in to the station building after breaking a window to gain entry. 2. Criminal Damage at Haworth Train Station on Tuesday 30th July 2013 in which the suspects threw stones at the station building, causing damage. 3. Burglary at Haworth Train Station on Friday 26th July 2013, in which the suspects broke in to the station building. The males have also been charged with offences which took place in the Keighley and Riddlesden area. Both males (aged 13 and 14 years old and from the Keighley and Riddlesden areas) will appear at Youth Court in relation to the offences. On Thursday 1st August at around 00.45hrs two males in a grey Ford Focus were seen to be acting suspiciously on Prince Street where they were observed looking into and around vehicles parked along the roadside. Residents in close proximity to Prince Street have also reported sightings of people trying their door handles. Residents are urged to be vigilant and ensure that all vehicles and homes are locked and secured, alarms are set, and that all valuables are removed from vehicles before the vehicle is left unattended. Please also ensure that any visible marks on your windscreen from a satellite navigation system are removed prior to leaving your vehicle unattended. Should you notice any suspicious behaviour in your area please contact the Police on either 999 (emergency number) or 101 (non-emergency number). Between 1600 hours on Saturday 27th July 2013 and 1120 hours on Sunday 28th July 2013 suspects have approached the parking meter machine located at the rear of the Weavers hill Car Park in Haworth. The suspects have used a vehicle to completely remove the parking meter from the ground and have made off in an unknown direction with the parking meter. The vehicle involved is believed to be a large 4x4, possibly a Toyota and will have significant rear end damage, including a smashed rear window. Should you have seen anything suspicious in the area at the time of the offence, or have any information relating to the offence or the vehicle believed to have been used during the offence, please contact the Police Non-Emergency number (101) quoting reference 13130311243. Production of Cannabis and Possess Shot Gun Without Licence. Haworth and Oldfield. At 1900 hours on Thursday 18th July 2013, Officers executed a Warrant under Section 23 of the Misuse of Drugs Act at an address in Haworth. During the search, Officers located plants and items connected to the production of Cannabis (a Class B Drug). Following the execution of the warrant, a further premises was searched in the Oakworth area, and a male linked to the premises was subsequently stopped in a vehicle in the Oldfield area. The vehicle was searched and the male was also found to be in possession of a shot-gun. The male was arrested on suspicion of Drugs and Firearms offences and is currently on Police Bail as the investigation is ongoing. West Yorkshire Police: Two Males Arrested for Drunk and Disorderly, Crossroads. Between 1905 hours and 1910 hours on Saturday 20th July 2013 Officers attended at Bingley Road in Cross Roads in response to reports of males fighting. Upon their arrival, the fight had ended, however Officers were directed towards a group of males who were involved in the incident. Officers approached the group and one member, who was heavily in drink, became verbally abusive and aggressive and was therefore arrested for being Drunk and Disorderly. Officers then issued Directions To Leave to the remainder of the group, which is a legal requirement for the person that the notice is issued to leave an identified area for a specified length of time. Whilst issuing the notices, a further member of the group became aggressive, and began shouting and swearing in the street. Despite warnings relating to his conduct, the male continued acting in a disorderly manner and was therefore also arrested for being Drunk and Disorderly. Both males were released from Custody the following morning and have been issued Penalty Notices of Disorder which incur an £80 fine. A burglary took place at a house on Lees Lane, Haworth between 0800 x 1800 hours on Tuesday 2nd July 2013. The offender/s attacked a euro-profile lock and gained entry to the premises. Once inside, cash and jewellery were removed and the offender/s made off. It has been reported that two males were seen on Lees Lane near to the attacked property at around 1100 hours, however at this time, it has not been possible to identify any suspects. Should you have seen anything suspicious in the area at the time of the offence, or have any information relating to the offence, please contact the Police Non-Emergency number (101) quoting reference 13130272873. Unless you have recently changed your Europrofile Locking Barrels to the more secure ones such as, Break Secure and Snap Safe it is likely that those fitted at your home are at risk. Sash (Security) Jammers should be fitted on the inside of the UPVC Door (Top and Bottom) and these should be used at all times. Even if the Europrofile lock is snapped, these Jammers will keep the door secure. Sash (Security) Jammers can be purchased on the Internet, from UPVC Specialists, or from DIY Outlets. Please remember - You should never leave your keys in locks, on window ledges or kitchen table, and never on a hook behind the door. - place your keys somewhere safe. On Thursday 13th June 2013 during the evening rush hour period, Speedwatches were carried out at two locations in Haworth, following concerns raised by residents. The first location was on Bridgehouse Lane, where 215 vehicles were checked and only one was caught exceeding the 30mph speed limit, and the second location was on Sun Street where 35 vehicles were checked and none were caught exceeding the 30mph speed limit. The drivers of the vehicles exceeding the speed limit will be issued with an advisory letter. Speed Watch Conducted on Rawdon Road, Haworth. A Speedwatch was carried out on Friday 7th June 2013 between 11.30hrs -13.00hrs on the Rawdon Road, Haworth by PCSO Wynn-Evans. This was arranged following concerns about speeding vehicles being raised by residents. Of approximately 200 vehicles checked only 3 were found travelling in the excess of 30mph. All will receive an advisory letter. Three juvenile males were arrested at 0230 hours on Friday 31st May 2013 on suspicion of stealing items from vehicles parked on Prince Street, Haworth. The suspects were witnessed trying car door handles by a member of the public who contacted the Police. Officers detained the three males nearby and recovered property that had been removed from two vehicles. The three males remain in Custody at this time. In many cases, vehicle crime occurs when vehicles are left insecure. 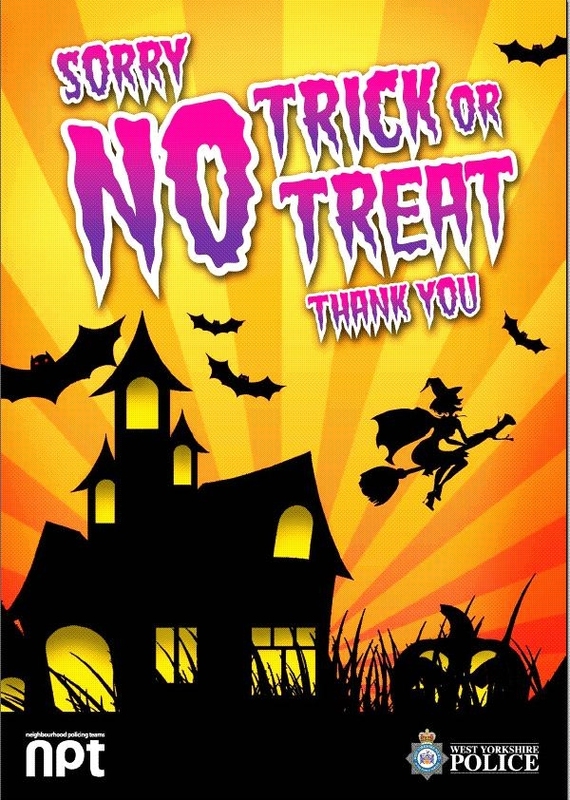 Please ensure vehicles are locked and secure, there are no valuables on view and any trace of satellite navigation cradles/ mobile phone chargers are removed. Residents and visitors in the Oxenhope area are asked to be aware that there are concerns for the driver of a Green Ford Puma VRM Y221GEV which is currently believed to be in the Oxenhope area. If you see this vehicle, please immediately contact the Police via 999 quoting Log 789 of 22nd May 2013. Male Charged With Receiving Stolen Goods Following Theft of Power Tools: Oxenhope. At 0205 hours on Tuesday 21st May 2013, Officers from the Calderdale Division of West Yorkshire Police were on mobile patrol in the Shelf area. At that time they saw a vehicle travelling at speed and stopped the vehicle. The occupants of the vehicle were spoken to and the vehicle was searched. A number of power tools were present in the boot and one of the occupants of the vehicle admitted that they were stolen goods. The three occupants of the vehicle were therefore arrested on suspicion of Theft. Subsequent enquiries identified the tools as belonging to a resident of the Oxenhope area. The three suspects were interviewed and one of the suspects (an 18 year old male from the Pudsey area) has been charged with Receiving Stolen Goods and Possession of a Class B Drug, and will appear at Calderdale Magistrates Court. The stolen items have been returned to the victim. At around 1200 hours on Saturday 18th May 2013, during the 1940s Weekend in Haworth, a member of the public witnessed two suspects stealing items from a shop on Main Street, Haworth. The member of the public followed the two suspects and the Police were contacted. Upon Officer's arrival, one of the suspects was detained at the scene and the other made off on foot. The outstanding suspect was detained a short time later and both males were arrested on suspicion of Theft. When searched, the suspects were found to be in possession of other items suspected to have been stolen from the Haworth area earlier that day. Both suspects remain on Police Bail as the investigation is ongoing. Speed Watch carried out at West Lane, Haworth. Following complaints from residents relating to vehicles speeding at West Lane in Haworth, PCSO Helen Wynn-Evans and a Haworth Parish Councilor conducted a Speed Watch on Friday 17th May 2013. In total, 112 vehicles were checked and only 2 were caught exceeding the speed limit of 30mph. The owners of the vehicles recorded as exceeding the speed limit will be issued with warning letters on this occasion. At around 0250 hours on the morning of Saturday 11th May 2013, three males have been captured on CCTV on Laburnum Grove in the Cross Roads area. The males can be seen to be trying the handles of vehicles parked in the area. The males are described as wearing dark clothing with the hoods pulled up, and one had light coloured bottoms on. No offences involving vehicles have been reported, however residents are urged to ensure that all vehicles and houses are locked and secured, alarms are turned on, and all valuables are removed from vehicles. Please also ensure that any evidence of a satellite navigation system (i.e. marks on the windscreen from the cradle of the sat-nav) are removed when you exit your vehicle. Should you witness any suspicious behaviour, please call to report the matter using either '999' or '101' (the Police Non-Emergency Telephone Number), depending upon the circumstances. PCSO 385 Hussain was in Haworth on Monday 15th April carrying out a dog fouling initiative with Worth Neighbourhood Wardens, Bev and Sam. Between 10.30 and 12.30pm they targeted the vicinity of Cold Street in Haworth where recent complaints have been made from the Parish Council. Dog fouling leaflets were distributed to nearby streets and members of the public were spoken to, sending out the basic advice of cleaning up after your dog or face a fine if you dont and are identified. PCSO Hussain said "we got a really good response from the community who thanked us for getting this done as they are all fed up seeing the dog mess left behind on the streets of Haworth". If you would like to report anyone not cleaning up after their dog you can ring our non emergency number 101, if possible give a description of the dog and owner and an address, alternatively PCSO Hussain will do some monitoring and leaflet dropping in your area. FREE Anti Theft Screws for Number Plates! Number plates can easily be stolen so your Local Policing team will be available to change number plate screws to security screws for free on Saturday 4th May 2013 between 13:00 hours and 15:00 hours in the carpark of Oxenhope Train Station. This is also a chance to meet your local officers and discuss local problems and crime prevention advice. Please note we are only able to change existing screws, we can not fix screws to number plates secured with adhesive. 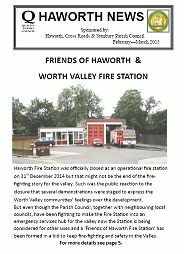 A public meeting has been called to discuss the possible closure of Haworth Fire Station and the proposal by the Parish Council for a 'first responder style' unit to be housed at the Fire Station. Money seized from criminals under the Proceeds of Crime Act (POCA) is being used to improve the quality of life for residents in Haworth. Five hundred pounds recovered from ill-gotten gains is being put back into the community to help redevelop a patch of land on Gas Street which is currently in disrepair. 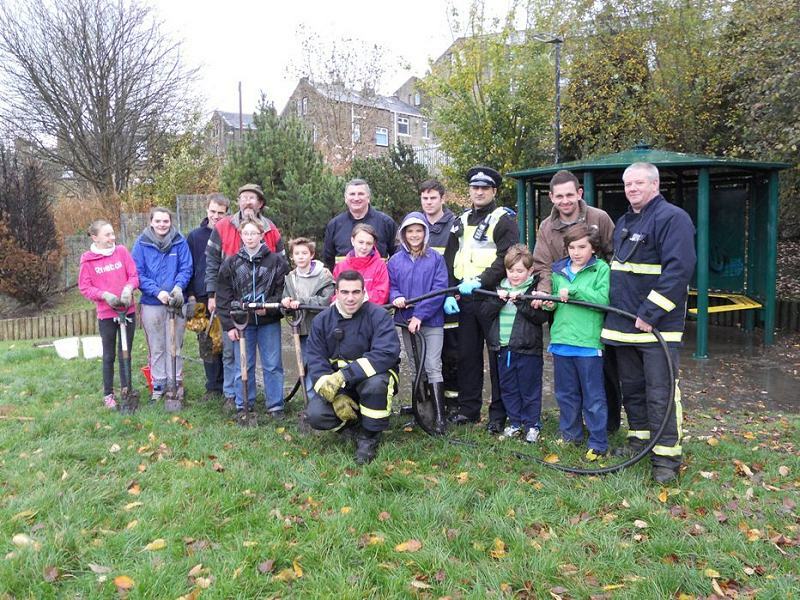 On Sunday 28 October, the Neighbourhood Police joined the Fire Service, Councillors, residents and youth groups to begin the work at 1pm. “The whole idea is that the community work together to have ownership upon a section of land which otherwise would have just been left. It all started when I was talking to a group of young people who were sat in the purpose built ‘youth shelter’. They complained about the state it was in and asked how they could go about improving it. One of them suggested a pressure washer and I thought Haworth Fire Service have a great pressure washer. “Once the shelter has been cleaned, young people from Haworth Youth Group are going to begin work with a local artist to design and re-paint the shelter. A new hard surface will be put down so the area will be better accessible and a Community Payback Team will also attend to give the area a general tidy. Alongside money generated from the Proceeds of Crime, funding to carry out the project has been obtained from various places such as the local Parish Council. This project has so far brought together groups of people who wouldn't usually combine, providing a visual result the whole community will benefit from. We have many residents for instance, donating plants, shrubs and bulbs which were planted on the day to brighten up the area. “How an area looks and the quality of the environment can have a positive impact on crimes such as anti social behaviour and I have been really encouraged at how keen and willing everyone has been to get involved in this project.” Said PCSO Wynn-Evans. The final stage will hopefully be in the form of a community 'plant and picnic' day next Spring. We recognise that tackling and dealing with speeding motorists is important to residents across The Worth Valley. Details of speeding vehicles are recorded by the Officers and warning letters are sent out to the registered keeper of the vehicles in the first instance. Further enforcement is later carried out by the team in company with their colleagues from the Divisional Roads Policing Department. The penalty for speeding is usually a £60 fine and 3 penalty points. If you would like to join one of your local Officers to undertake a Speed watch Operation, or would like to nominate an area for us to do this, then please get in touch. * The Worth Valley Local Priorities as agreed at the latestPACT meeting are: Haworth:(1)Increase road safety by targeting and reducing speeding and illegal parking at Lees Lane and Mill Hey,(2)Maintain presence at schools. * Oakworth: (1) Reduce anti-social behaviour around Station Road and Holden Park area 1700 x 2300hours, (2) Prevent and tackle illegal parking around Oakworth Primary School. * Oxenhope: (1)Maintain lower levels of anti-social behaviour around Station Road/West Drive area and Oxenhope Park, (2) Increase road safety by preventing and tackling speeding drivers on Station Road and Hebden Road. * Stanbury : Increase road safety by reducing speeding through the village. * Cross Roads:(1) Increase road safety by preventing and targeting speeding motorists, paying special attention to HGVs, (2) Prevent and tackle anti-social beahviour in Cross Roads Park. If the team are out on patrol then please leave a message on the answerphone facility and we will get back to you as soon as possible. Opening hours Tuesday 1200-1600pm, Wednesday 1200-1600pm, Thursday 1200-1600pm, Friday 1200-1600pm. Haworth, Cross Roads & Stanbury Parish Council Newsletter - Copies can be downloaded from this site here... or call at the Contact Point, 28 Changegate for your copy. If you have any news for our free 'What's On' section or wish to advertise your business or event, please call 01535 644001 or email wvcontactpoint@yahoo.co.uk for advertising rates. In addition we can provide copying and laminating services to advertise your event on a variety of coloured papers and cards. We still have stock of personal alarms from as little as £1.00, Safe cans, window alarms and other safety items. Call in and have a look.